Picture of handmade man from Alaska standing in front of a dark background. 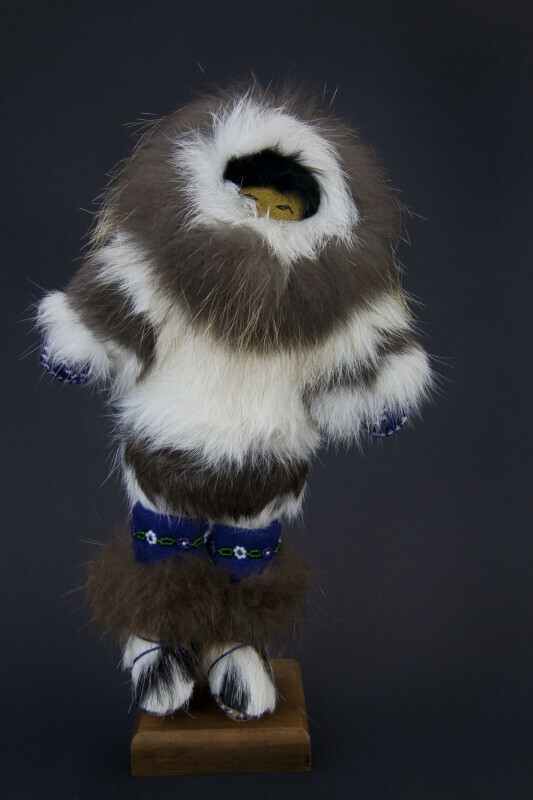 Alaskan male doll, handmade from fox, rabbit, moose, calf, and beaver fur. He has a fur parka, with beads on his boots and gloves. His face is made from leather. This figure stands 10 inches (25 cm) tall. For his story, visit Tracking a Bear in Alaska.